April Riding Events in Wisconsin, Iowa and Minnesota | Hupy and Abraham, S.C.
For many motorcyclists in the upper Midwest, April signals the start of the new riding season. After a long winter, riders are eagar to start the yearly ritual of getting bikes out of storage and seeking the company of others at area events. Here are some great events to get both bike and rider primed for a fun 2018. On April 7, join Milwaukee Harley-Davidson in welcoming canine lovers from around the area to the dealership at 11310 W. Silver Spring Road, Milwaukee. All breeds of dogs are welcome (must be kept on a leash) and you can enjoy free hot dogs while your favorite furry co-pilot can indulge in some tasty doggy treats. It's a great way to spend a Saturday with your best friend. While at the dealership, why not purchase a T-shirt with the Milwaukee Harley logo? It's the only Milwaukee area dealership that is actually in Milwaukee. If you live in Iowa, you'll want to check out the beginning of the 2018 season for Bike Down to I-Town. Always on the third Friday of the month, April through September, join up to 10,000 riders enjoying a day on the town square in Indianola, Iowa. Thousands of custom and standard bikes are on display, vendors, live music, food and much more. 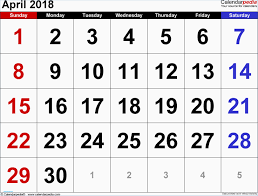 The dates for this year are April 20, May 18, June 15, July 20, August 17, and September 21. Don't miss out on a great way to socialize with other bikers in a small town neighborhood that welcomes every style of bike and rider.